Our founder, Alex Scott, started Alex’s Lemonade Stand Foundation with one front yard lemonade stand. Today, ALSF has raised over $150 million and has funded over 800 research grants at institutions around the U.S. and Canada. It all started with one cup of lemonade. You can carry on Alex’s inspiring legacy by raising money to fight childhood cancer. Please make a donation of any amount to help more kids like Alex fight cancer. We are running in honor of our cousin, Reid who was diagnosed with medullablastoma at the young age of two. To learn more about Reid and his fight against cancer, please feel free to click on the link below. Oh my goodness, you guys. The water works are REAL. 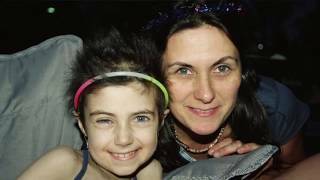 This video gives the absolute BEST overview of Alex's Lemonade Stand Foundation, including its progress in finding a cure for all existing childhood cancers. Please grab a box of tissues and watch this incredible journey of a little girl with a heart of pure gold. Please, please, please check it out! Adam. 24. Obsessed with HOUSE and Iowa Hawkeyes. Manatee advocate. Won a free throw competition in 7th grade. Good at spelling. Bedtime is no later than 8 pm. Autumn. 22. O- Blood type. So tough she eats nails for breakfast. Nickname: fall. Eats peanut butter like it's going out of style. Known for carrying her baby blanket with her wherever she goes. Amanda. 25. Prefers flat pillows and blue M&M's. Does a mean Shakira impression. Likes her water lukewarm. Run mimics a gazelle on steroids. Friends TV show fanatic. Coffee, and more coffee. Our cousin, Reid has been our biggest inspiration behind this race. When he grows up, he wants to be a garbage man! His love for all things garbage has led us to choose, "Team CAN" as our team name. Not only to symbolize Reid's love for trash cans, but also to express our belief that he CAN THROW AWAY cancer for GOOD! So proud of you guys! Great job raising money for such an important cause!